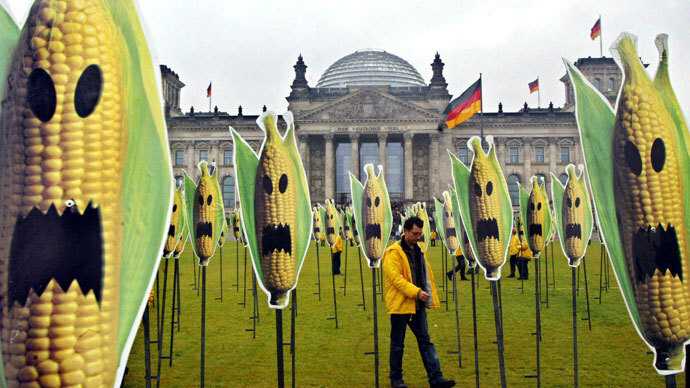 Joining six continents, 52 countries and over 500 cities, ‘March against Monsanto’ is planning its second mass rally Saturday against the biotech giant and genetically modified food. A number of Agent Orange victims are expected to join the protest. “Saturday is a big day of action against Monsanto. We took our lights out to a local cornfield. Monsanto is bad for our food and bad for our planet,” the March against Monsanto’s movement posted on its Facebook page. On October, 5, Movement against Monsanto launched a global 'Twitter storm' asking people to tweet and post certain hashtags as frequently as possible. 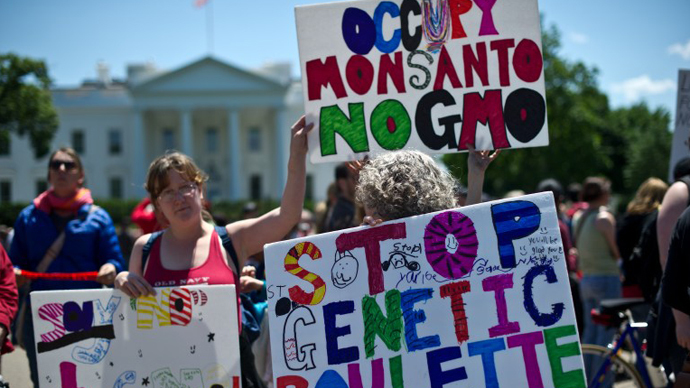 “The goal of this Twitter storm is to get the March and info about GMOs trending on Twitter and Facebook and to build awareness about Monsanto and their dangerous products and policies,” the organizers said in a statement. Citing scientists, activists insist that health risks include organ damage, sterility, infant mortality, birth defects, auto-immune conditions, allergies and increased cancer risks. What makes this Saturday’s rallies different is that this time victims of Agent Orange and Dioxin Exposures (all members of Children of Vietnam Veterans Health Alliance) will be participating in the events in several cities across the US. Monsanto is one of the seven chemical companies who manufactured the toxic herbicide Agent Orange, which the US government massively sprayed in the Vietnam War. “Almost as soon as Vietnam Veterans came home and started their family, reports began to surface about multiple miscarriages and birth defects in their children,” the statement said. Forty years later, reports still indicate that untold numbers of Vietnamese civilians, former soldiers and others exposed to the highly toxic chemical back in the 1960s and 1970s continue to develop terminal illnesses such as cancer, and to suffer from all kinds of other herbicide-induced health horrors. Although Monsanto is not the only company that uses pesticides, herbicides and GMOs, its global dominance means that it is the biggest target of public protests. 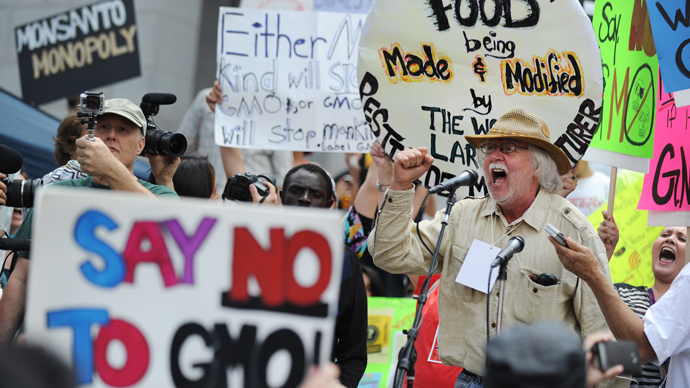 Started as a small event, the first March against Monsanto on May 25 turned into a global campaign with over 2 million people in 436 cities, across 52 countries, joining the rallies. The protest is being organized on Facebook and Google Documents, where users can find a list of events near their location. 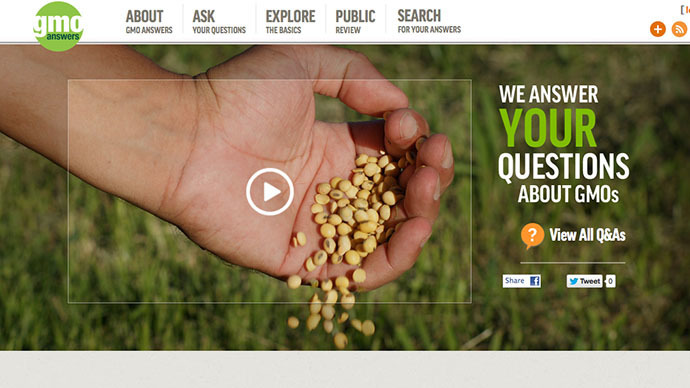 On social networks, the movement has started the hashtags: #MarchOct12 #MarchAgainstMonsanto, #O12. Meanwhile, despite public fears and accusations, Monsanto insists it does not pose any unacceptable risk to human health or the environment, but, on the contrary, improves agriculture since it helps farmers to produce more from their land while saving resources such as water and energy. The US biotech giant insists that research into GMO crops is "inconclusive" and lobbies to continue manufacturing lab-made foods. 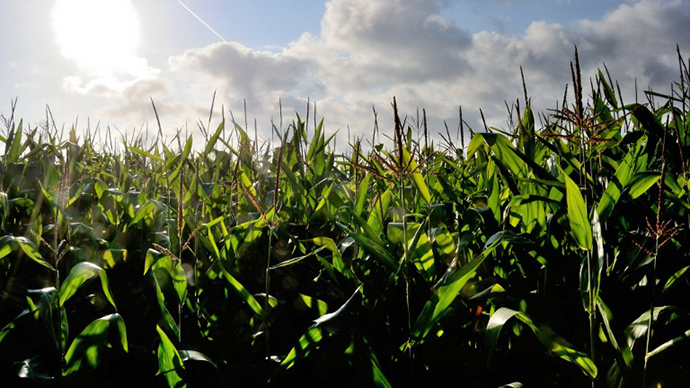 In March, the US Congress passed a law dubbed the “Monsanto Protection Act” by its critics, which allowed companies that use GMOs to plant and sell genetically altered products, ignoring judicial rulings. 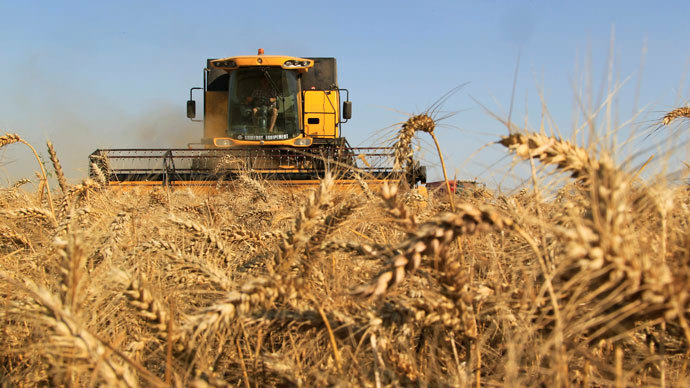 On September, 27, the assistance to GMO companies was removed from a Senate spending bill, despite the fact that the US House of Representatives approved a three-month extension earlier in the month. For extensive coverage of the demonstrations worldwide, check back with RT.com throughout the weekend.